Every business operating in the United States is bound by several federal laws. Depending on the location the cleaning business is established, several State laws will also apply. 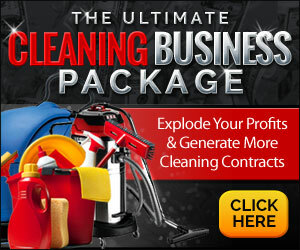 Running your cleaning business legally is extremely important, the matter requires your full attention and compliance. While I’m not a lawyer, I’ve done the best I could in terms of research and writing down my personal experience regarding the legal obligations of a cleaning business. 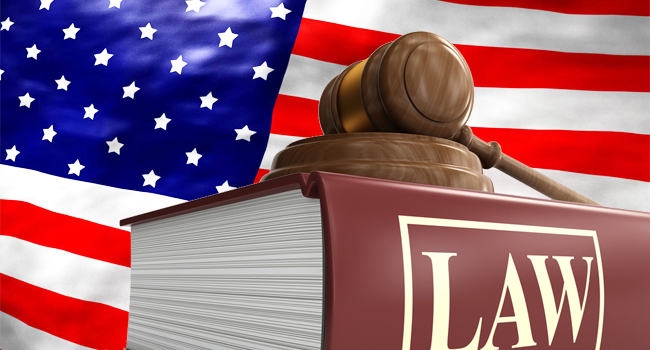 This guide’s only purpose is to provide you with a general idea on various legal aspects on starting and operating a cleaning business in the United States. You should, however, consult with a professional attorney and an accountant for such matters and others that may have missed my attention. Keep in mind, legal matters are extremely complicated and they require professional care to their full extend. So while you can get a first clue on what’s going on by reading this guide, you should definitely hire experts to help you with all the paperwork, fill you in regarding various procedures, your obligations, the requirements of your business etc. 1. Every business operating in the United States must be issued all the necessary licenses and/or permits and fill all tax-related forms necessary to legally operate. Every business owner is obligated to visit the local authorities of the State(s) his business will operate in to fully understand and comply with federal and state laws that apply. You may visit our State Guides to find more detailed information regarding individual State requirements and various regulations of that State. 2. Before hiring an employee, all businesses are required to obtain an Employer Identification Number (EIN) from the IRS. The EIN is used to identify a business entity. This is often referred to as Form ss-4 or as an Employer Tax ID. This step is mandatory for reporting taxes to the IRS. You can apply for an EIN online here. You may also call the Specialty Tax Hotline at 800-829-4933. Federal Income Tax Withholding (Form W-4). Every employee you have must provide you with a signed withholding exemption certificate (Form W-4) on the date of employment or before the day of employment. You will then need to submit that form to the IRS. Federal Wage and Tax Statement (Form W-2). You will have to use this form to report wages paid and the taxes withheld for each employee. You’ll need to to complete one Form W-2 PER employee you have and pay a salary, wage or compensation to. You will need to send Copy A of Form W-2 to the SSA (Social Security Administration) by the last day of February. If you file electronically, you have an extra month to send Copy A of Form W-2 (by the last day of March). These are used to report wages and taxes of your employees for the previous calendar year. Moreover, you should send copies of Form W-2 to your employees by January, 31 of the year following the reporting period. For further guidance, visit the Employer W-2 Filing Instructions and Information page. State Taxes. Depending on your location, you may have to pay additional state income taxes. Visit our State Guides to learn more per individual state. 4. As an employer you’ll be responsible for paying the Unemployment Insurance Tax (UI Program) under the Social Security Tax. This tax provides unemployed individuals with temporary payments. The UI rates and the amount of taxable wages are determined annually. New employers pay 3,4% of wages for two or three years. Each employer may only pay up to $434 per wage per year. Which means that if you have 3 employees the maximum UI tax you’ll need to pay is 3 x 434 = $1302. Each employer is notified of the new rate each December. You’ll need to consult our State Guides to find out how to pay the UI Tax in you State if you’re required to. 5. If you’re a new employer there are certain federal and state tax filling requirements that apply. Each quarter, if you’re paying wages that are subject to income tax withholding, social security and medicare taxes, you must file IRS Form 941, Employer’s Quarterly Federal Tax Return. If your cleaning business is still small (annual income tax liability of $1.000 or less), you may file IRS Form 944 instead of 941. You must also file IRS Form 940, Employer’s Annual Federal Unemployment (FUTA) Tax Return, if you paid wages of $1,500 or more in any calendar quarter, or you had one or more employees work for you in any 20 or more different weeks of the year. 6. Federal Employment and Labor Laws are the next piece of the puzzle. You can visit the United States Department of Labor for detailed information regarding this, extremely important, matter. Once there, make sure you visit the section about Equal Employment Opportunities as well. Note that there’s a regulation about Workplace Posters under which you’re obligated to have posters in the wall that let your employees know of their rights and their employer’s (you) obligations and responsibilities. Note that posters are subject to updates; you’ll have to download, print and place on the wall the newest versions of these posters. You can download them here. 7. Federal Law requires employers to verify each employee’s eligibility to work in the United States. Thus, within three days of hire, employers must prepare an Employment Eligibility Verification also referred to as Form I-9. This form is NOT submitted to the Federal Government. You will have to complete and keep an I-9 form for a period of three years after the date of hire and one year after the employee’s termination of employment in your cleaning business. The ICE (United States Immigration and Customs Enforcement) agency conducts workplace audits to ensure you do keep the I-9 form as you should AND that your I-9 matches the Government’s records. You can download the I-9 form or get further instructions on completing it by visiting the US Citizenship and Immigration Services. If you need help verifying a newly hired employee, you may use E-Verify (you’ll need to register). 8. If you’re hiring employees, make sure to register with your State’s New Hire Program. Under the Personal Responsibility and Work Opportunity Reconciliation Act of 1996, you are obligated to report newly hired employees as well as re-hires within 20 days of their hire or rehire date. Visit our State Guides to find out where and how to register with your state’s New Hire Reporting Program. 9. If your business has employees, you are required to obtain Worker’s Compensation Insurance coverage through a commercial carrier. This can be done on a self-insured basis or through the State Worker’s Compensation Insurance program. 10. If you’re business operates in either of the following states, you’ll also need to obtain Disability Insurance. The states that require you to obtain disability insurance (as of May 21, 2012) are the following: California, Hawaii, New Jersey, New York, Puerto Rico, Rhode Island. Disability insurance requires you to provide partial wage replacement insurance coverage to eligible employees for non-work related sickness or injury. 11. Make sure you are regularly keeping records of tax and labor information. Certain federal guidelines require you to set up record keeping anyway. You may read this guide on tax recordkeeping and this guide on labor recordkeeping. Finally, take a look at your State’s Recordkeeping policies through our State Guides. 12. You should adopt Workplace Safety Practices as described in the Occupational Safety and Health Administration’s Quick Start Guide. This is a step-by-step guide aiming to help employers to identify and comply with OSHA requirements on workplace safety that may apply to your cleaning business. 13. Depending on the type and volume of your business, you may have to comply with certain environmental policies and/or get relative licenses or permits. See our State Guides for more information regarding your State’s environmental regulations and make sure you ask specifically for those when you get in touch with local authorities.